Stunning landscapes, magnificent medieval and Renaissance chateaux, Roman remains and prehistoric art are just some of the wonders that make Dordogne one of the most popular regions of France. 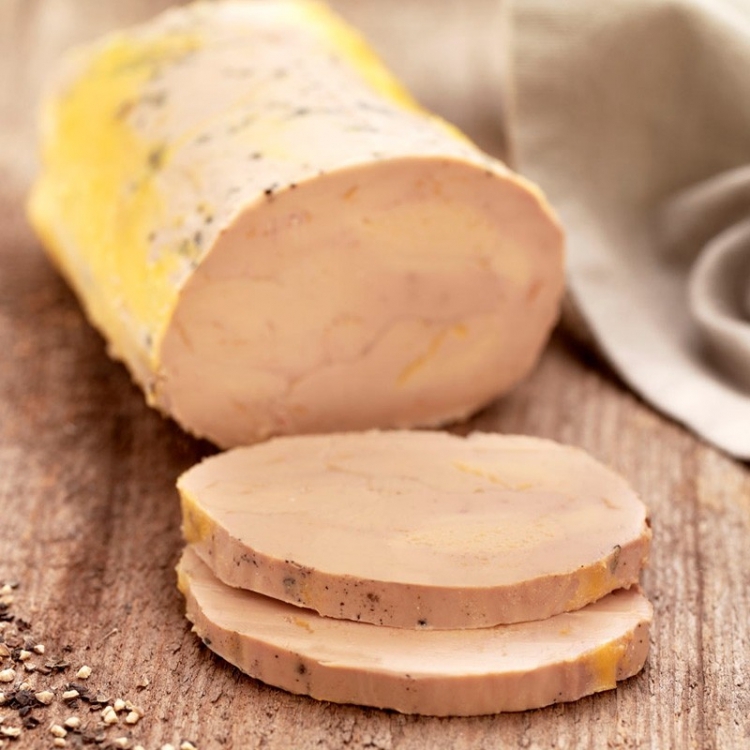 Gastronomic delights such as duck, geese, truffles, red and white wines and the sweeter Monbazillac, which is perfect with the region’s foie gras, are also very much enjoyed at thousands of restaurants and bars. Traditionally known as Périgord, Dordogne is essentially divided into four areas. Périgord Vert is in the north and takes its name from the lush green valleys that cross the region, together with wide rivers, fast flowing streams, rolling hills and rocky plateaux. Immense valleys, meadows and limestone plateaux describe Périgord Blanc, which is central to Dordogne and includes Perigueux Dordogne’s prefecture. With Bergerac at its centre, Périgord Pourpre is in the south west and features rolling hillsides and pretty villages as well as the many vineyards which give rise to the name. Rich in historical sights, Périgord Noir is in the south east and can thank the thick woods that line the Dordogne and Vézère rivers for its somewhat dark title. Dating back to the Gauls, a Celtic people from around the 5th century BC to 5th century AD, Perigord, or Petrocore as it was then called, fought hard during the Roman invasion. Legend has it that Julius Caesar had great difficulty in locating the locals as they were hiding out in artificial caves (cluzeaux) both above and below ground. Later, having changed hands from the Plantagenet’s to Eleanor of Aquitaine and her English sovereignty, Perigord was to be a main battleground of the Hundred Years’ War. Edward III sent the Earl of Derby and two others to attack different parts of France in 1345. The Earl, Henry of Grosmont, was tasked with taking Gascony. Many a battle was fought, including the Battle of Bergerac in 1345. The Earl may have won the battle but the war was not yet over. For a short time, both the English and the French ruled France until Bordeaux was captured in 1452 and Charles VII became King of France (except for Calais which eventually fell in 1558). Gothic and Renaissance architecture began to spring up in the late 15th century with buildings being built in Perigueux, Sarlat and Bergerac. This was just the start, more than 1,200 manoirs and chateaux were built over the next 100 years. War struck again towards the end of the 16th century with the Wars of Religion and fires and pillaging took its toll on the people and buildings alike. Bergerac, a Huguenot (protestant) stronghold once again stuck its head above the parapet and was a main focus of the conflict during the sixth of the eight wars. A number of ruins and chateaux bear testimony to these troubled times including La Chapelle Faucher and the chateaux of Bourdeilles and Mareuil. Nontron is the main town in Périgord Vert and boasts medieval half-timbered houses as well as ruins of the original town fortifications. Widely known for its 500-year knife making ancestry, the Coutellerie Nontronnaise workshop demonstrates how traditional methods are being combined with cutting edge technology to keep these knives at the sharp end of the industry. Sometimes referred to as the Venice of Dordogne, nearby Brantome sits on the Dronne river. 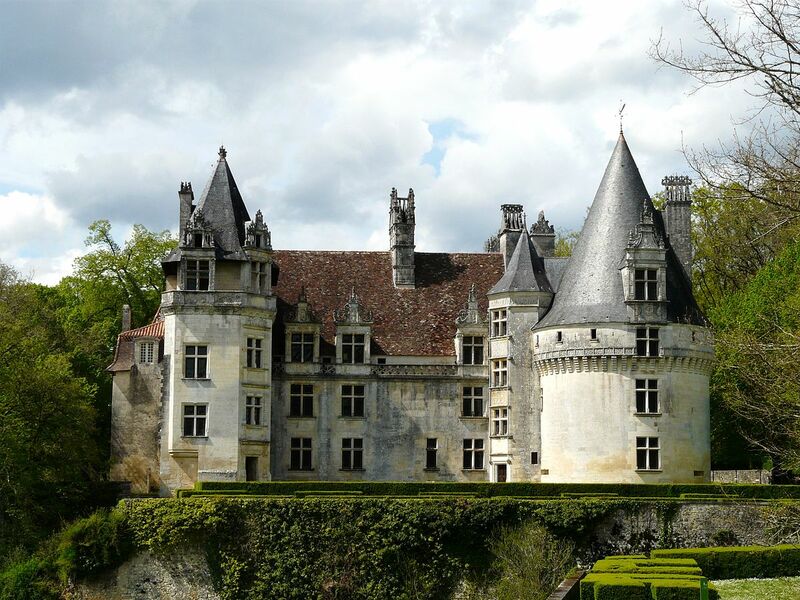 Built by Charlemagne in 769, the Benedictine Abbey de Brantome is not to be missed. The town also claims to have the oldest church belfry in France (11th century) and a bridge dating back to the 15th century. 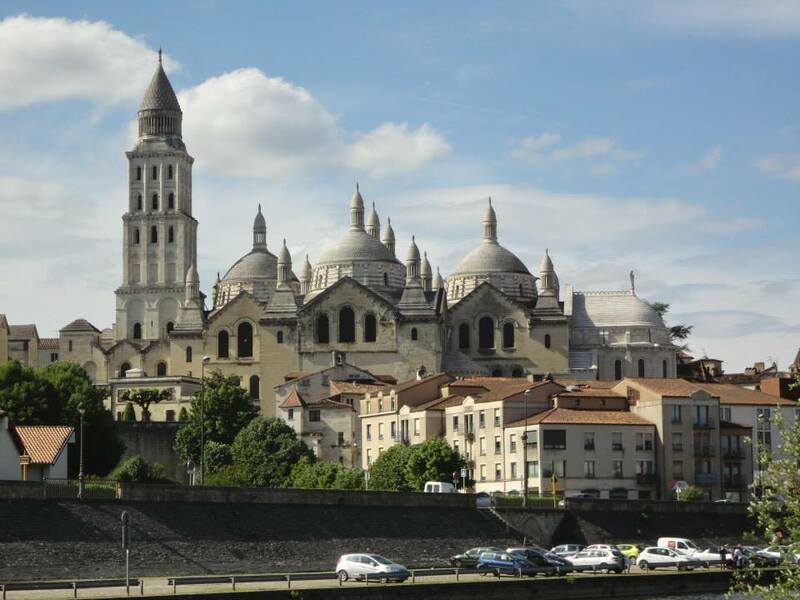 Museums in the region include the Musée Fernand-Desmoulin in Brantome, the Chocolate Museum at the Chateau le Verdoyer in Terrasson, and the Maison du Foie Gras at Thiviers. 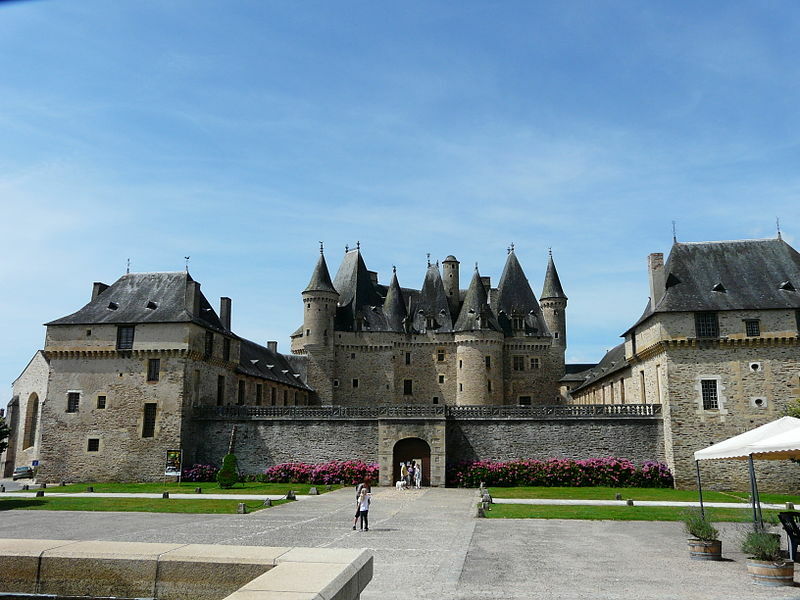 For beautiful architecture and a glimpse into past times, take a look at the fabulous Chateau de Jumilhac, the medieval castle and renaissance palace that make up the Chateau de Bourdeilles, and the elegant Chateau Puyguilhem. If you fancy panning for gold in the River Isle, you could also take in a visit to the Musee de l’Or. 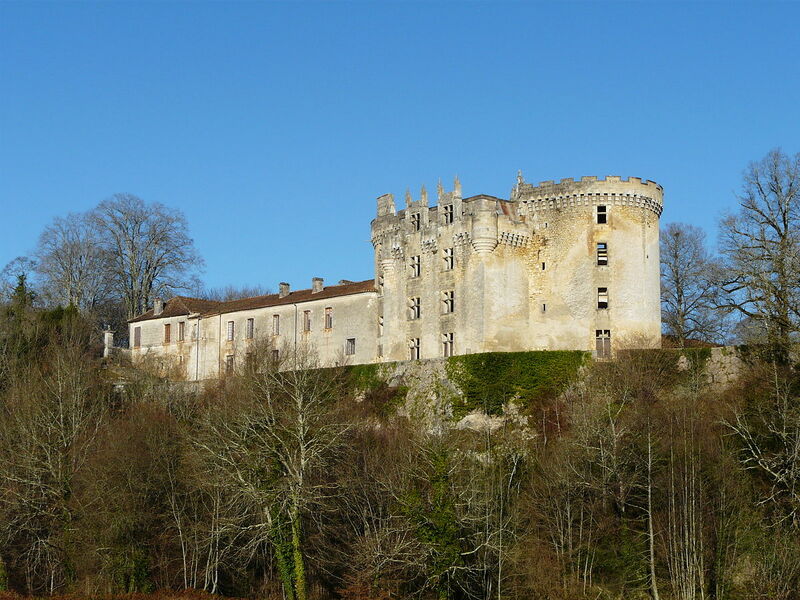 For beautiful architecture and a glimpse into past times, take a look at the fabulous Chateau de Jumilhac, the medieval castle and renaissance palace that make up the Chateau de Bourdeilles, and the elegant Chateau Puyguilhem. Périgord Blanc is headed up by Périgueux, the prefecture of Dordogne. Dating back to Neolithic times, this bustling city bears testimony to its roman past with the Vésone Tower and the remains of the amphitheatre at Le Jardin des Arènes. Medieval and renaissance influences can be seen in its pretty cobbled streets and the arched cloisters of the multi-domed Cathédrale Saint Front. 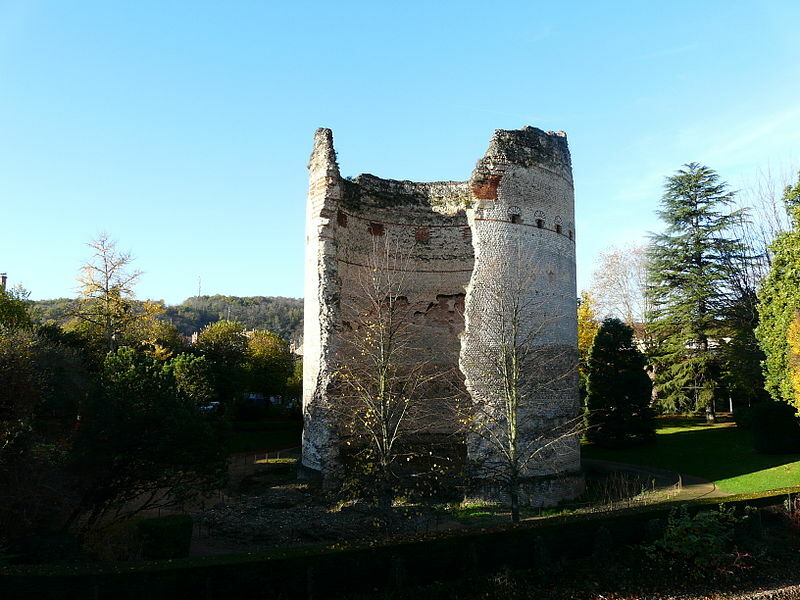 Originally, 28 towers and 12 gates secured the city but the Mataguerre tower is the only one left standing, despite the cannon ports and archery slits which were intended to hold invaders at bay. The Musée Militaire highlights weapons and uniforms from the Middle Ages to the present day and the Gallo Roman Vesunna museum offers more than a peak into life in Roman times. 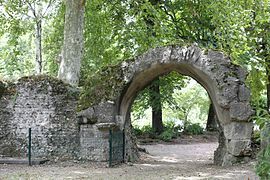 In contrast, at the quiet town of Neuvic you can see pretty restored colombage buildings (Maisons Doubleaudes), an 18th century grotto known as Bain de Diane and the renaissance style Chateau de Neuvic by the River Isle. Steeped in vineyards, Périgord Pourpre has the market town of Bergerac at its centre. North of the River Dordogne, old Bergerac is full of tiny streets, medieval squares and half-timbered buildings. A visit to the 17th century cloistered Couvents des Recollets, which is linked to the Maison des Vins, will not only delight you with the choice of wines but it also includes an exhibition on the history of Bergerac wines and its 17 appellations. Despite the fact that Savinien Cyrano, the real man behind the literary hero known as Cyrano de Bergerac, never actually visited the town, his well-endowed statue looms large in the Place Pelissière and is worth a “nose”. The town knows how to reproduce a hero and another statue of the man can be found at the more peaceful Place de la Mirpe. Next to the old bridge and just below the old town, the Quai is home to a flotilla of traditional Garbares boats, ready to take visitors along the river. For those who prefer to walk, the Promenade Pierre Loti provides wonderful views of the surrounding buildings. Other interesting towns and villages include the 13th century bastide town of Eymet and the medieval village of Issigeac which somehow managed to survive the horrors that it endured during the wars of the Middle Ages. Founded by King Edward I of England in 1284, Monpazier is one of France’s most beautiful villages and incorporates no less than 30 national monuments. Founded by Alphonse de Poitiers in 1269, Villereal was intended to keep the English at bay during the Hundred Years War. It failed then and, if it wanted to keep visitors away, it certainly fails today. The village is a delight with half-timbered buildings, ancient moats and the, oddly enough, the old Leper House. As a place of protection for protestants in the Wars of Religion, Chateau Monbazilliac houses important engravings and documents from that era, as well a 16th and 17th century furniture. Upstairs there is a contemporary art collection, whilst downstairs visitors can see a wall containing 6,000 bottles of golden coloured Monbazillac, together with a 16th century vaulted kitchen and a wine museum. Other museums include The Musée du Tabac which charts the evolution of tobacco smoking and includes an exhibition of snuff boxes and pipes, and the Musée du Vin et de la Batellerie which highlights the history of river transport and the movement of wine on the Dordogne. 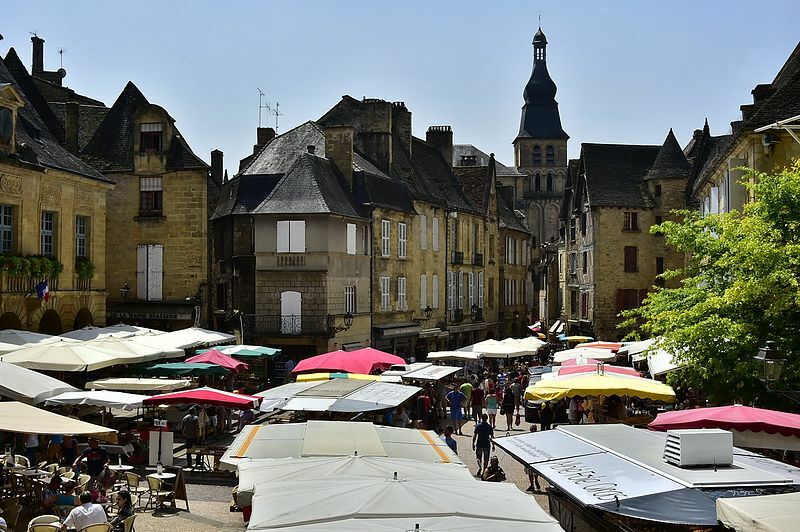 Apart from the rue de la République which was built to improve traffic flow in the 19th century, Sarlat la Canéda in Prigord Noir is one of the best preserved towns in France. The old main square at La Place de la Liberté is home to foie gras, walnuts and truffles on market day, as well as some stunning architecture and welcoming cafés. A national monument, the Cathédrale St Sacerdos cannot be missed in the town centre with its bulbous bell tower. Dating from the 16th century, it is surrounded by interesting buildings such as the Florentine style Ancien Evêché which was previously the bishop’s palace and is now a thriving theatre. One of Sarlat’s oddest buildings is the Lanterne des Morts. Little is known about this domed stone tower except that it was built in the 12th century and there is an ossuary in the basement. The narrow windows are too small to allow access and there is no entry point to the first floor circular room. 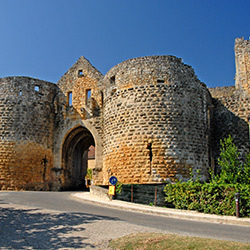 Fortified against the English in 1281, and in a spectacular setting overlooking the Dordogne river, Domme is another miraculous survivor of the Hundred Years War. 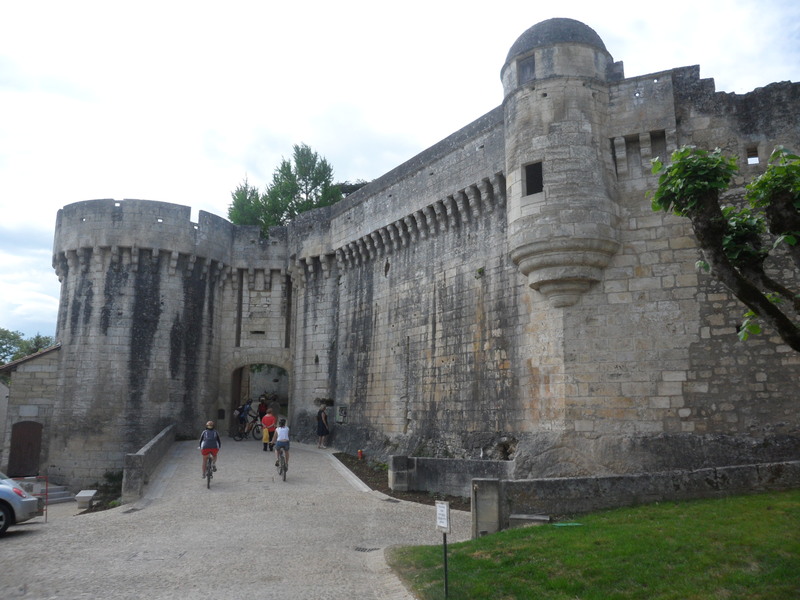 The Porte des Tours is one of three enormous gateways set in the town’s original walls. From the central square, visitors canenter a series of caves that stretch beneath the entire village. More caves can be found at Les Eyzies de Tayac where Cro-Magnon man was discovered in 1868. 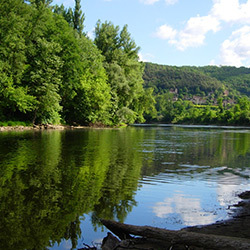 The caves are located in the Vézère river valley, otherwise known as the valley of man, because of the sheer number of prehistoric settlements that have been found there. The Musée Natonal de la Préhistoire is a good place to learn more about the life of early man. With four distinct areas, Dordogne has a wealth of history and culture on offer. Sadly, we cannot hope to include even a fraction of them in this overviews. You will find a wide selection of other tourist spots, churches, hotels and events in our Business Directory and What’s On pages. Why not take a look, you can search under category type, town or region. It really is hard to beat a slice of foie gras mi-cuit on a piece of toast topped with onion confit, but you could try this. – In a mixer, blend the meat from two duck confit legs and a handful of herbs (1/3 marjoram, 1/3 sage and the rest parsley – or whichever herbs take your fancy) until you have a finely ground meat type texture – not a paste. – Mix in one beaten egg. Form round balls with the meat. Flatten to make a patty and then place a decent amount of mi-cuit foie gras in the centre. Fold the confit around the foie gras – you are aiming for something the size of a large egg. – Deep fry for a couple of minutes – you really just want a crunchy outside and a warm centre, drain, cut in half and serve. You could place a small amount of onion confit on top but try not to hide the soft creamy filling.